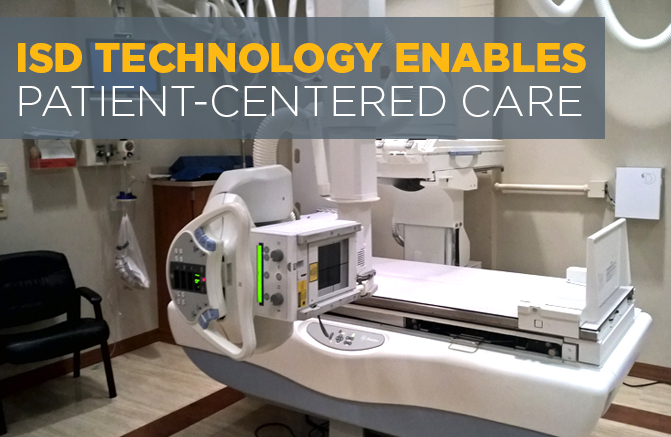 Today’s health care industry is all about providing quality patient care at a lower cost. Continually improving patient care and maintaining a high degree of patient satisfaction ranks top priority for many health care providers. These aims can be partially achieved through sound infrastructure and efficient operational systems. However, health information technologies also serve as a solution to quality patient care improvement. These technologies help by averting medical errors, enhancing communication, assisting clinical decision making, and increasing organizational efficiency. UPMC was an early adopter of electronic health records and interoperability solutions, so that information could be exchanged securely throughout the health system network. As a result, UPMC is able to offer patients a unique health care experience, enabling all individuals, their families, and their health care providers to have appropriate timely access to their comprehensive medical records. This contributes to informed decision making, which allows patients to be active participants in their personal care. Moreover, UPMC physicians can use mobile device platforms to check on patient medication history and allergies to identify potential adverse interactions with other drugs, with the additional capability of sending e-prescriptions to pharmacies. Health care applications not only help physicians treat patients, but also give patients convenient access to their own medical information. With MyUPMC, members have the ability to view laboratory results, renew prescriptions, schedule/request appointments, and communicate with their physicians anytime, anywhere from a computer, tablet or smartphone. This patient-centric health portal greatly contributes to the unique patient experience offered by UPMC. This summer, I had the opportunity to work on the Mars application, a distinct archive that has been storing clinical and financial records for over 20 years, and currently holds over 1.5 billion records. Data is stored as unstructured text, which is fully indexed making it available for use by a wide variety of applications such as clinical research, patient safety, process improvement, financial analysis and patient care. In particular, researchers are directed to this application because of the large volume of historical data available for extraction. The application is in the early stages of transition to a HADOOP platform, which will allow for more complete patient record and data population, helping researchers learn more about UPMC patients individually, as well as the population in general. This information is vital in improving operational functionality and continuing UPMC’s legacy of excellent care. At the end of the day, patients must always be at the forefront. UPMC’s Information Services Division exercises a focused approach to patient-centered practice by continuing to shape the health care system through clinical and technological innovations – a UPMC core value. Specifically, ISD contributes tremendously to patient care by adhering to the core values of the organization, creating safe environments for our patients by instilling excellence and innovation in everything we do.